The best part of Cinco de Mayo? Margaritas! Let the tequila and the good times flow! A refreshing margarita and a slice of lime never looked better. 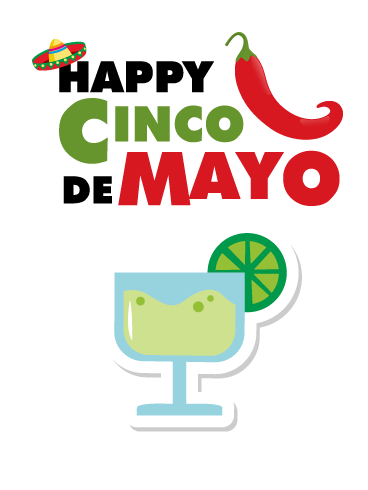 Send a Cinco de Mayo card to your friends and remind them to kick back and relax a bit. There is just one question they'll have to answer on this festive Mexican holiday: Salt or no salt? Mexico has a rich and vibrant culture. 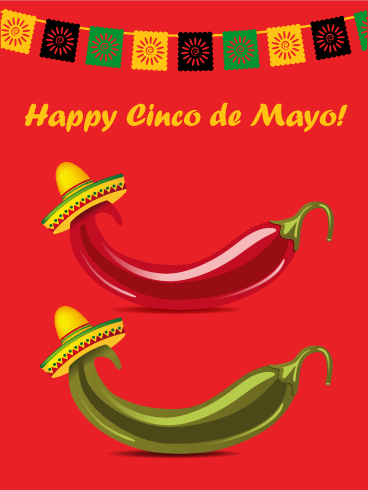 Celebrate one of its most fun and historic holidays-Cinco de Mayo-and send out this super festive greeting card. Grab some maracas, your sombrero, and get ready to dance the night away. Send this brightly colored and hip Cinco de Mayo card to your friends and family. Today, Mexicans around the world remember the Battle of Juarez with parades, fiestas, and dancing. What is the best way to start a party and make the greatest celebration? 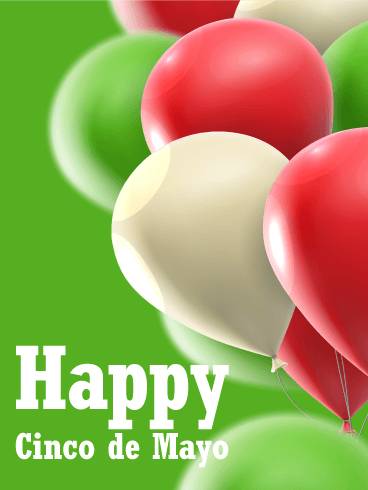 With balloons and fun! 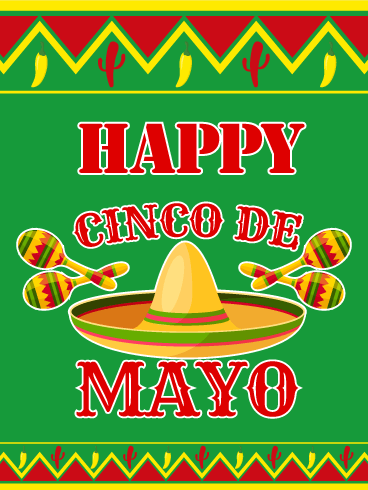 Cinco de Mayo is a celebration of Mexican culture and the influences it has had on American culture. 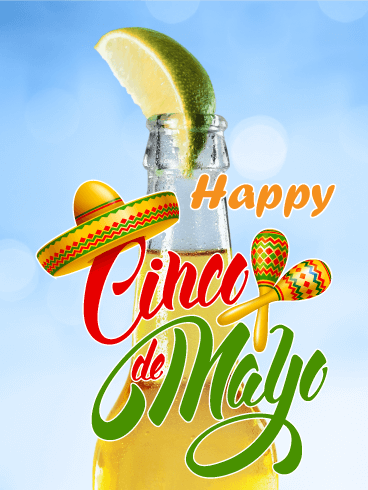 With the bright balloons, which reflect the colors of the Mexican flag, on this Cinco de Mayo card, you can enjoy the best holiday party you've ever had! Hola, I "mustache" you a question: Are you excited for Cinco de Mayo? Well, good, because it's right around the corner! 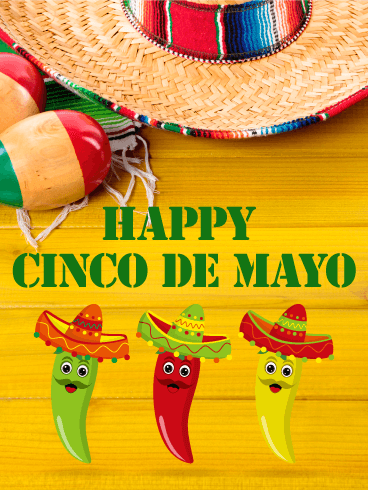 Cinco de Mayo celebrations are often filled with maracas, mustaches, and sombreros - fun elements to celebrate Mexican culture! 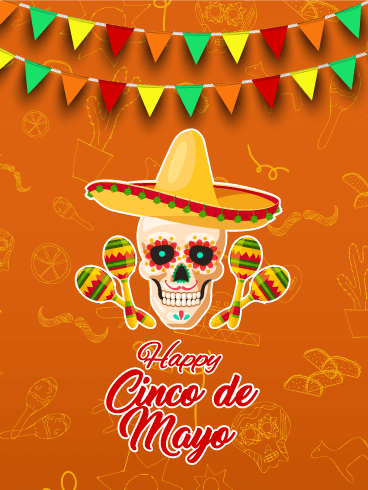 With this Cinco de Mayo card and its fun decorations and design, you can celebrate your favorite parts of Mexican culture with the people you love most! Break out your best sombrero because Cinco de Mayo is here! 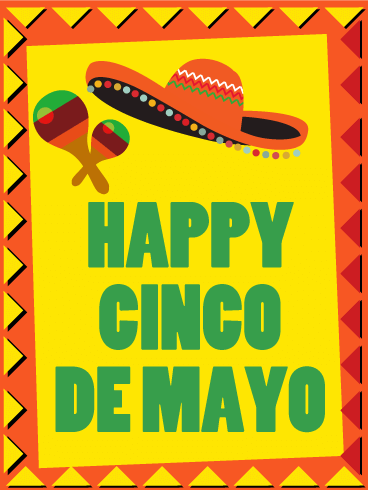 Celebrate in style with a festive Cinco de Mayo card. Have you ever seen a Mariachi cactus before? Neither had we. But now you have, and we think it's even more reason to smile big and party long! 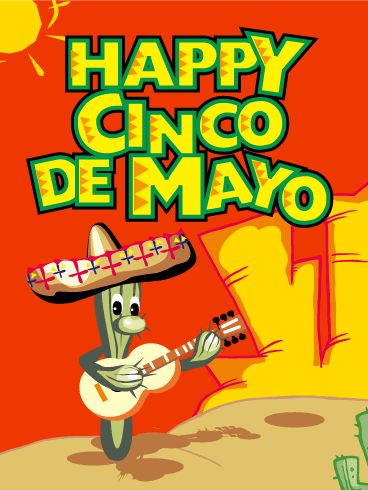 Send your favorite amigos this awesome Cinco de Mayo card to wish them a happy holiday. Drop a lime in a cold bottle of corona and get ready to celebrate! 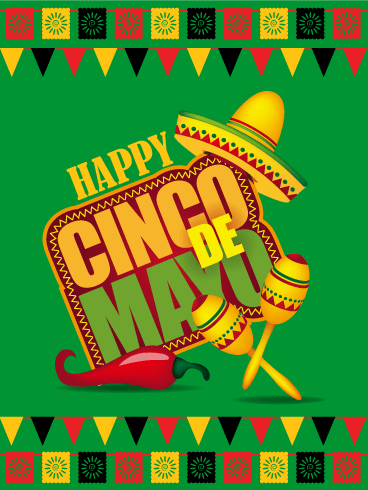 Every year, Americans use Cinco de Mayo as a day to celebrate Mexican culture and appreciate the elements that have made their way into our lives and culture! 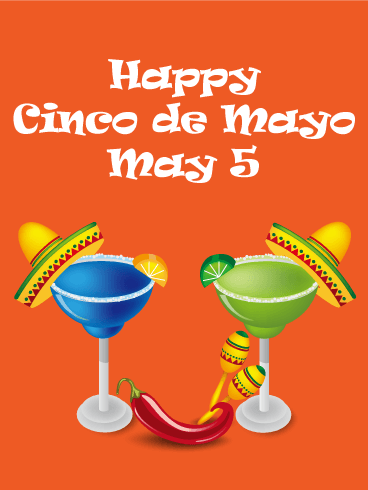 As May 5 approaches, use this Cinco de Mayo card to kick off your celebrations! Your friends and family will be so happy to receive it! Happy Cinco de Mayo! 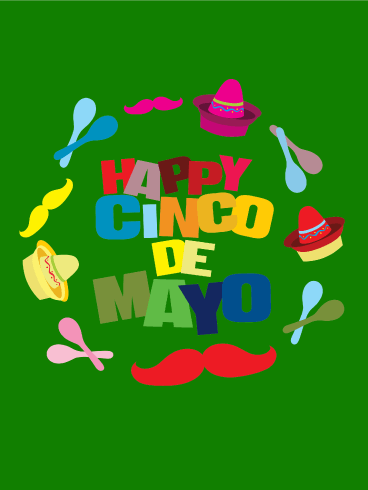 The 5th of May is a day set aside for the celebration of Mexican culture and the marks it has made in America. We spend the day eating tacos, burritos, salsa, and chips while listening to mariachi music to enjoy what we love most about Mexican culture. 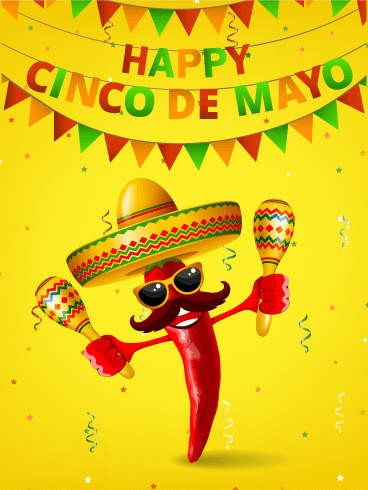 With this Cinco de Mayo card, you can celebrate all of your favorites!